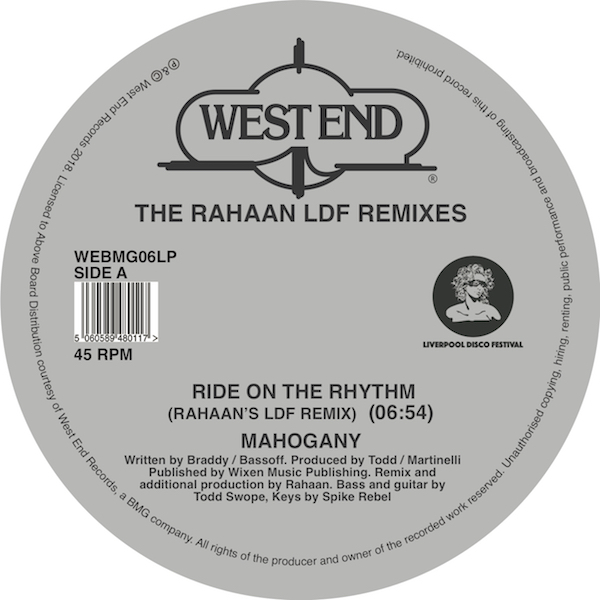 Chicago's finest DJ Rahaan has teamed up with the now legendary Liverpool Disco Festival for an ultra-dope double 12" offering of legit, fully licensed and fully flipped remixes and re-edits from the West End vaults. Sounds like Disco heaven, right? In order to be let loose in the vaults you really need to know your stuff and we all agree that Rahaan Ra knows his stuff! This dream collabo sees him (respectfully) touching some of the jams that made West End the dance music powerhouse that is today. That's right, we're talking rarities, foundation tracks, the cornerstones of modern club music. These are wonderfully executed and brand spanking new versions of classics, who says 'you can't have your cake and eat it too'? Well, Brenda Taylor actually, and that is only one of the joints on this special release alongside Mahogany's Boogie anthem 'Ride on the rhythm', Chuck Davis' 'Spirit of sunshine' and Billy Nichols' 'Give your body up to the music'. 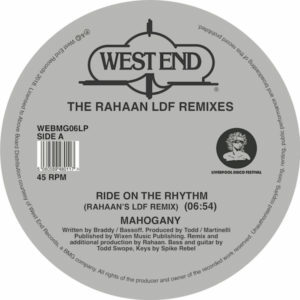 Spread across 2 hefty slabs of beautifully mastered wax we get to enjoy Rahaan's reworks in all their uninterrupted glory, just as the Disco gods intended. Truly a match made in heaven, you will not want to miss out on this essential, extra-fresh West End / Rahaan / Liverpool Disco Festival release!